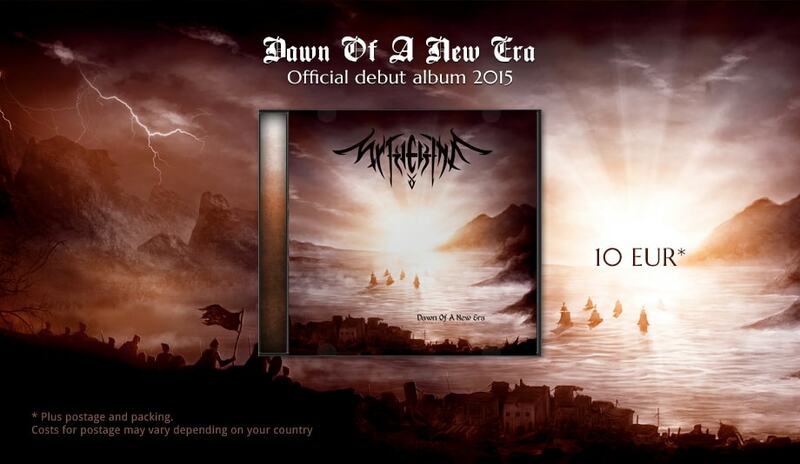 The debut album recorded, mixed and mastered at Winter Solitude Studio in Berlin and released on Nov 20, 2015 holds 10 Tracks telling a fantastic story about a civilization that travels and conquers to find its promised land and a better future. This design is available on t-shirts in M, L or XL (girlies in M currently sold out). T-shirts are of Gildan G5000 Heavy Cotton (, the girlies are of B&C Ladies Exact 190). 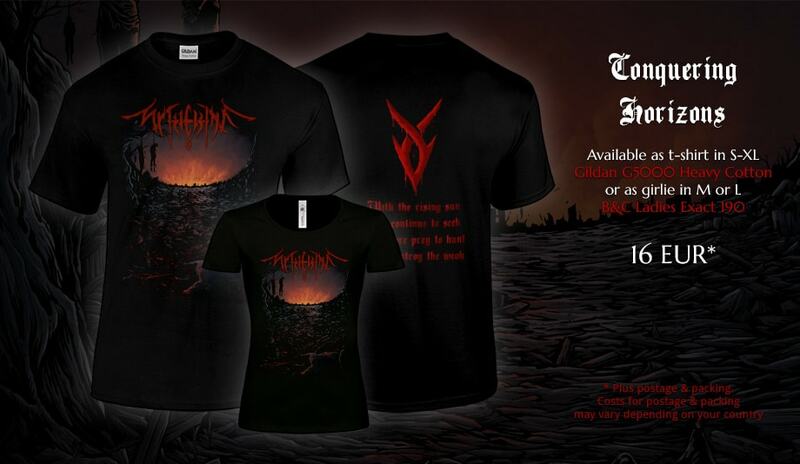 Both black, printed on front and back for 14 EUR only. 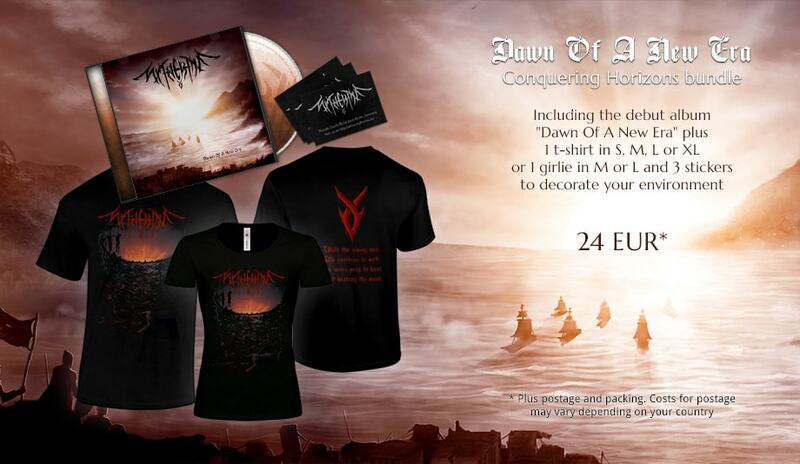 Get the official debut album “Dawn Of A New Era” plus 1 t-shirt (M, L or XL), save a few coins by paying 22 instead of 24 EUR and get a little giveaway. For more information about each item (tracklist, sizes) please check their descriptions above. This design is available on t-shirts in S, M, L or XL and on girlies in M or L. T-shirts are of Gildan G5000 Heavy Cotton, the girlies are of B&C Ladies Exact 190. 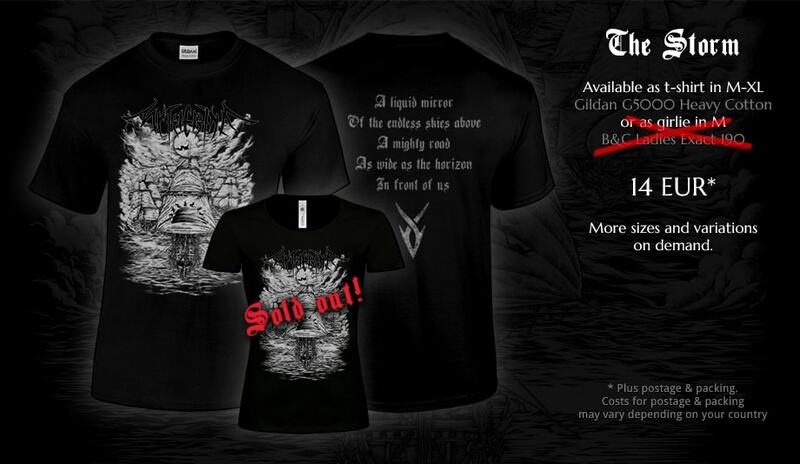 Both black, printed on front and back for 16 EUR only. 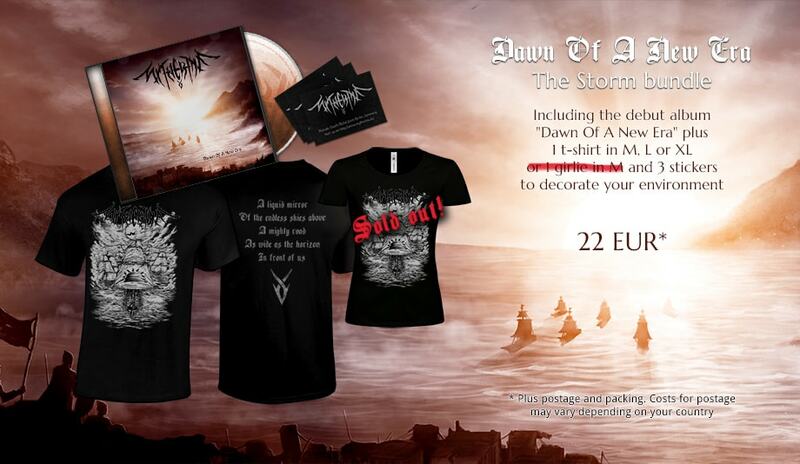 Get the official debut album “Dawn Of A New Era” plus 1 t-shirt (S, M, L or XL) or girlie (M or L), save a few coins by paying 24 instead of 26 EUR and get a little giveaway. For more information about each item (tracklist, sizes) please check their descriptions above.